Lets admit it, healthy food can be expensive. 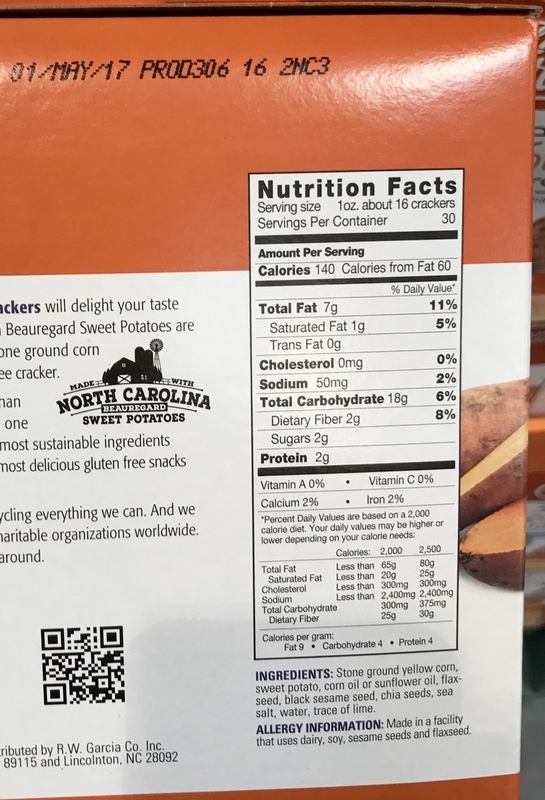 With an upward trend of food manufactures making easy, boxed meals and processed snacks cheaper and cheaper there is a definite decline in the quality of nutrients Americans are consuming. I understand that is it more difficult to eat quality food when on a tight budget, but there are a lot of things you can do in order to save money and still eat nutritious foods. Here are my top 10 tips to help you eat healthy on a budget. Start each week with a plan so you only have to go grocery shopping once during the week. The least amount of trips you take to the store the less likely you are to spend money! Planning is essential to both a nutritious diet as well as saving money. Plan out meals that require minimal ingredients. And if you have a recipe that calls for 2 cups of spinach be sure to plan another meal that requires spinach so you use the entire bag you bought. Next, make a grocery list. Then be sure to check your cupboards prior to shopping and only buy what you are going to use (ex: do not buy an entire bag of chopped kale if a recipe calls for 2 cups kale, instead purchase a smaller bunch of leaf kale and chop it yourself). There are many great grocery list apps available now to help you organize your list; personally I just use the reminders app on my iPhone and check things off as I place them in my cart. My husband and I started doing our list this way so we could "share" the reminder list and both add to it throughout the week when things run out. Grocery stores are set up to entice you into buying more than you came for. I highly encourage you to stay on task while shopping and only look for items on your list. As a general rule, you should try to shop the perimeter of the store first, as this is where the whole foods (produce, meats, and dairy are typically located). The middle of the store contains all of the processed, unhealthy foods and tempting treats. Learn the grocery stores nearest your home and take a day to compare prices of typical items you purchase. For example, I know that I can get the best deal on quality ground beef, hormone-free chicken, and nitrate-free turkey breast at Costco. In addition, I have compared a few other grocery stores near me and found that my local Woodman's has the best prices on produce, almond milk, coconut flour, and frozen vegetables. In addition, you can look at the ads from your local grocery stores and make a list of the best deals going on that week. The more aware you become while you shop for groceries, the more familiar you will become with pricing. If you are haveing trouble remembering prices at certain stores, take a quick picture on your cell phone or keep a notes sheet open on your phone and write it down when you learn of a better deal so you have an easy cheat sheet to reference. If you and/or your family eat meat on a regular basis, it is a good idea to leave a meal or two open on your plan for a recipe that can use meats on sale. Depending on where you live, chicken and ground beef may tend to go on sale more often than seafood so adjust your meal plan according to the meats on sale if you need to. Keep in mind, you can always freeze meat! I suggest stocking up when meat is on sale and using it later in the month. When it comes to seafood, frozen is often cheaper and when cooked right just as delicious and nutritious. Even if you only have to grocery shop for yourself, it can pay to shop in bulk for certain items. Pantry stables like rice, oats, flours, canned beans, canned tomatoes, coconut milk, coconut oil, nuts, and popcorn are all available in bulk at stores like Costco or Sam's Club. As long as the self-life is 6 months to one year, purchasing in bulk saves money! Checking the unit price of items comes in handy when buying in bulk. A unit price is the price for one unit of the item you are buying. For instance, when I am purchasing canned tomatoes, I look at the unit price to tell me how much I am paying per ounce. The unit price will be listed to specify the cost per ounce or pound, so simply multiply that number by how many ounces or pounds you wish to buy to find the best price. Other items to buy in bulk include frozen fruits and vegetables, along with frozen meats (fish and chicken especially) and paper goods (paper towels, napkins, toilet paper, etc.). The clean 15 and dirty dozen are a list of vegetables and fruits indicating which ones to buy organic and which ones to buy conventional. Organic produce is more expensive so knowing which ones to actually splurge on is worth it! I do not purchase all organic fruits and vegetables, but I do try to stick to the dirty dozen rule as these items are the most contaminated foods when not grown organically. Save the picture below to your phone so the next time you're at the grocery store you can reference it easily. As a general rule, the thicker the skin on the fruit or vegetable (bananas, avocados, etc.) the less likely pesticides and other chemicals can permeate the edible portion. If the edible part is exposed (berries, tomatoes, apples, etc.) go organic! When recipes call for 1 cup of fresh blueberries. I can almost guarantee the recipe will taste the same if you thaw some frozen blueberries. Unless there is a huge sale on fruit, frozen is almost always cheaper. Frozen fish is typically cheaper than fresh and has the same nutritional benefits. In addition, use canned tuna and salmon for salads and egg bakes. If you have leftovers that you do not want to eat because you want more variety for the week, simply freeze them! You will have a meal ready for you next week. Simply take the meal out of the freezer the day before and thaw in the refrigerator; you'll have a pre-made meal and save money that week! You can also batch cook a few family favorites one Saturday or Sunday and then freeze them in individual servings so your family can grab a healthy meal from the freezer whenever they wish! My mom was great at cooking ahead and always had something nutritious for us in the freezer on busy weeknights when we had sporting events. It is a huge time and money saver as you won't be running to Chipotle or Culver's and spending triple the amount to feed your kids. Some foods are a lot cheaper in the less processed form. For example, a block of cheese is cheaper than shredded cheese. Whole grains like mullet, rice, or oats are cheaper per serving than most processed cereals or pre-packaged oatmeal packs. Yogurt is another item you can save a lot of money on simply by purchasing the larger tubs of plain yogurt and adding your own frozen fruit and/or honey. You also eliminate the preservatives and sugars added to fruity yogurts by purchasing plain yogurt. Lastly, I want to leave you with a small challenge. Do you have cable TV? Do you have a fancy coffee habit? Do you go out to eat most days for lunch? The constant struggle to be able to "afford" healthy food may ultimately come down to priorities. Where are you spending your money that does not directly and positively impact your physical and emotional health? I challenge you to look at your finances and see if you can re-prioritize where you spend your money, and perhaps you will have a few more dollars to invest in your health. 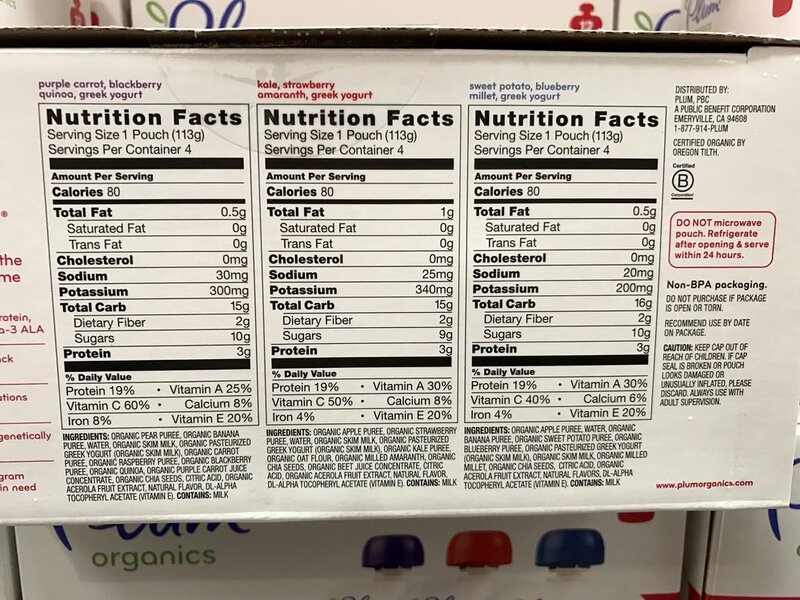 As a frequent shopper at Costco, I often refer my clients to products I personally use from Costco, so I thought I would share a few of "my favorites" and some Hite Nutrition recommendations. 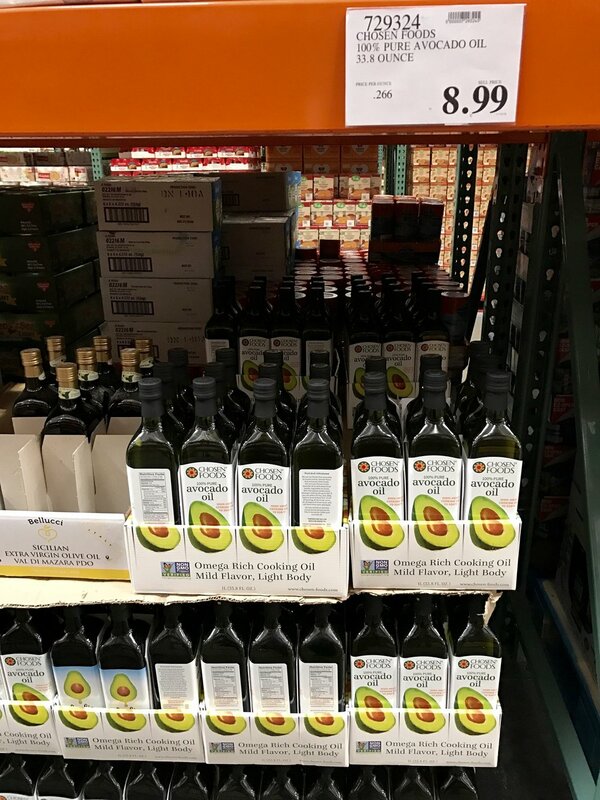 There are many things to love about Costco. They focus on products that offer quality ingredients and are often organic or made with less preservatives. And most prices are comparable or cheaper than what you can get in a normal grocery store for the same quantity (excluding most produce). I know some of you may not have a Costco located near you so I have included a direct link to Amazon for each product that is available online. Those of you who have Amazon Prime this is another great option! I have found that most items at Costco are priced better in store than on Amazon, but you're paying for the convenience of having it delivered directly to your doorstep. If you have any questions on any of the products I recommend just send me an email at kelsey@hitenutrition.com. Power Up Trail Mix is a combination of walnuts, dried mango, almonds, and dried cranberries. This makes the perfect afternoon snack! I love the flavor of these Kirkland Protein Bars as they are very similar to Quest Bars, but 2/3 of the price! With 21 grams of protein I often grab one of these and a piece of fruit if I am in a hurry and won't be able to eat for a while. Harvested for You Organic Shelled Pumpkin Seeds come in a 20 ounce bag and is a great value for the quality! A single ounce serving is a great source of zinc, magnesium, manganese, phosphorus, vitamin-k, and plant based omega-3's. 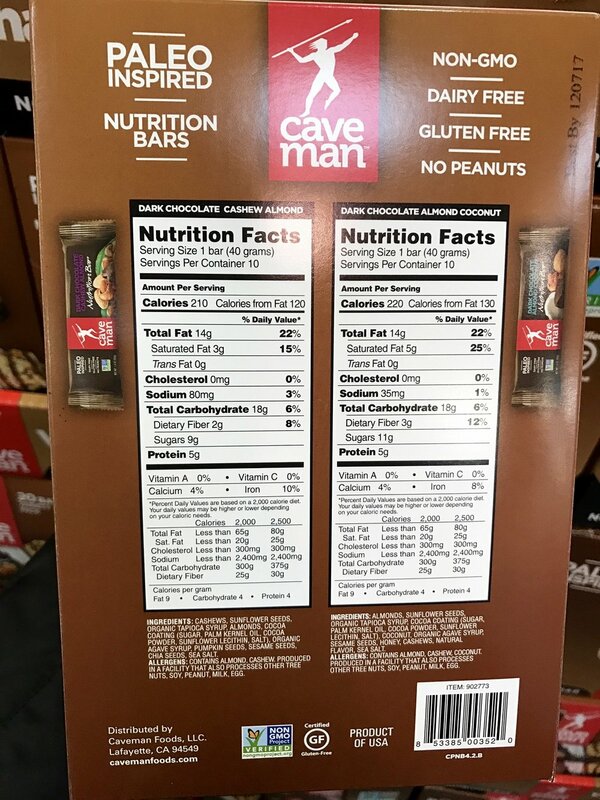 I personally have not purchased these Caveman Bars yet (more for a budget reason than anything), but I have sampled them and they are delicious! I love that these are dairy and gluten-free. I would consider these more of a treat as they only have 5 grams of protein, but nonetheless they are made with natural ingredients and are healthier than most convenience bars. Larabars are a great item to grab when you need an afternoon pick-up! They often contain less than 5 ingredients and are super delicious because they are sweetened with dates. 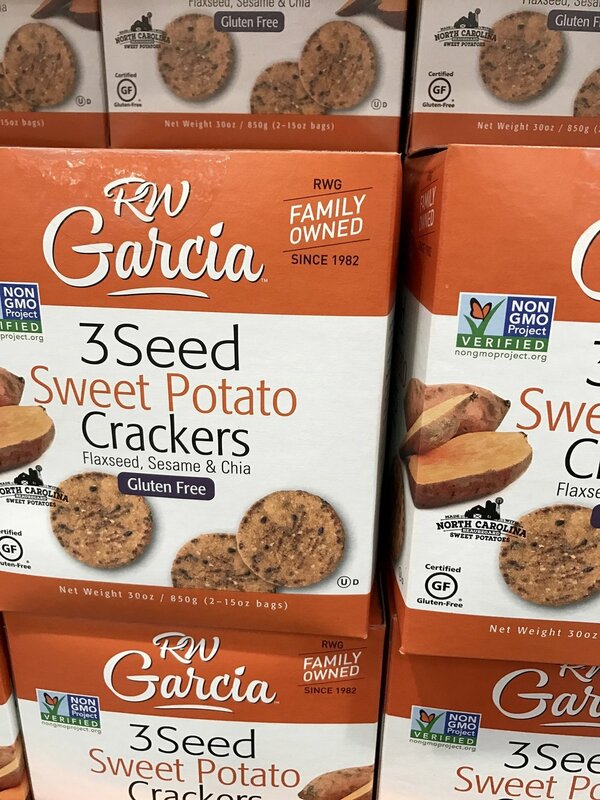 Rw Garcia 3 Seed Sweet Potato Crackers are just as delicious and another great alternative to oily chips or crackers. 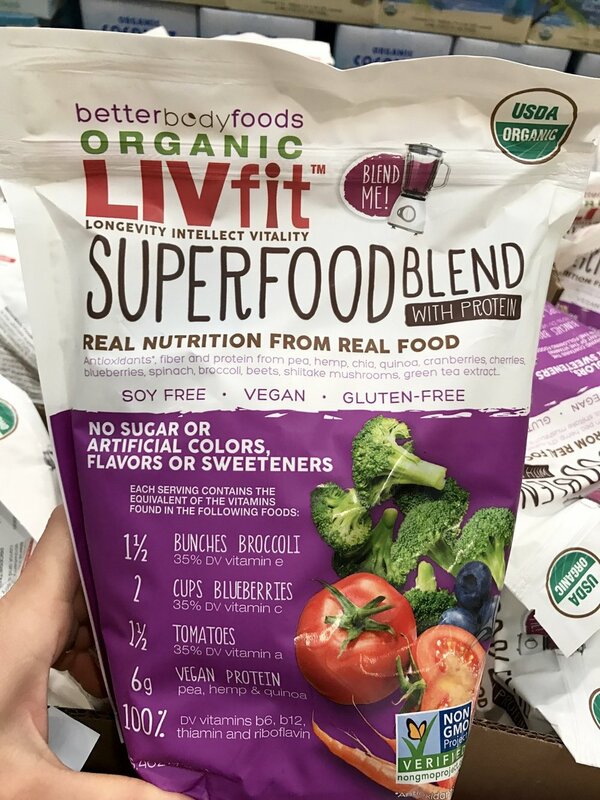 For those of you who don't necessarily love eating vegetables daily, I suggest adding this Organic LIVfit Superfood Blend into smoothies, baked items, and/or protein shakes to get some added nutrients. Plum Organics is a great company that makes healthy snack and mealtime options for babies and toddlers. Costco carries their Mighty 4 product which is a squeezable pouch of Greek yogurt, a vegetable, a fruit, and a grain. 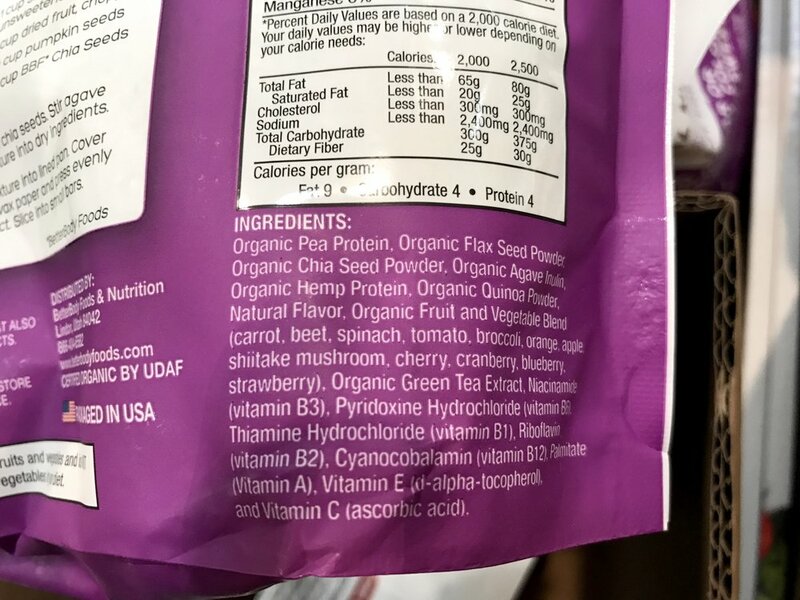 Hemp Hearts are raw shelled hemp seeds that are a great addition to any smoothie. Or try topping your oatmeal or yogurt with hemp seeds for some added protein and fatty acids! Earthly Choice Wild Rice is always a great addition to a quick dinner meal. This price is for 3 lbs and is comparable to other grocery stores. Email me if you need tasty ideas on how to cook wild rice! I love adding chia to my smoothies or making chia pudding! Since this is a rather large bag I keep it in my refrigerator. Chia seeds are a great energy and metabolism booster, and they contain beneficial amounts of fiber, protein, and omega fatty acids. Give Nature's Intent Organic Chia Seeds a try! The same goes for wild-caught canned salmon. Kirkland's canned salmon is a great source of protein! I use it on salads, in salmon patties, and creamy cold salmon salad. Kirkland Organic Coconut Oil is cold-pressed and unrefined which I love. My husband and I make our popcorn with coconut oil so we really appreciate a cheaper organic brand. Almonds are a common snack in my diet as they are a good source of plant protein and minerals such as vitamin E, manganese, biotin, and copper. This Kirkland bag of almonds is cheaper in the store. Chosen Foods Avocado Oil is great for high heat stir-frying or roasting. I also love making homemade mayo with this! Stober Farms Organic Golden Flax Seed is a great addition to smoothies, baked goods, and oatmeal. Flax seed is high in omega-3 and fiber. In addition, studies show that it may help reduce the risk of heart disease, cancer, stroke, and diabetes. In addition, I recommend trying the frozen Kirkland Wild Alaskan Pacific Cod. You should try to eat two servings of fish a week! BACON! Who doesn't like bacon? I never use to eat it because it was "bad" for you, but then I discovered there are more natural sources without nitrates/nitrites. And if you don't have any heart complications, a little saturated fat is actually healthy for you! Go ahead eat some nitrate-free bacon here and there. Coleman Natural is a brand I recommend. Coleman Natural chicken breasts are individually packaged for easy thawing and have no added salt. Although they are not raised organically, the chickens are not treated with antibiotics, hormones, or steroids. These Kirkland Organic Tortilla Chips are recommended because when purchasing corn products you want to buy organic in order to avoid any GMOs. Although these are made with vegetable oils (canola and safflower which I try to avoid) they are ok here and there or for parties. Plainville Farms Oven Roasted Organic Turkey Breast slices are amazing! Yes, this product is more expensive than most sandwich meats but in my opinion it is worth the cost. The turkeys used have never been give antibiotics, are raised organic, and the deli slices do not contain any nitrates or other harmful preservatives. These fresh Coleman Organic Chicken breasts are great if you have a larger family and want to buy safer chicken. The breasts are fairly large so I recommend cutting them in half and freezing them in quantities that work well for your family. Mary's Gone Crackers are a great alternative to those canola oil, preservative packed crackers you may have in your pantry. They are gluten and dairy-free and made with whole-grain brown rice, quinoa, flax seeds and sesame seeds. Try them plain, with hummus, or goat cheese! Any applesauce that is unsweetened is fair game; especially organic! You'll have to do some price comparison with your local grocery store to see if this Mott's Organic Applesauce 36 unit package is a deal or not. GoGo Squeeze is a great quick and natural snack for your kids to eat on the go! Chosen Foods Avocado Oil Mayo is dairy, soy, and canola oil-free! It has the same ingredients as what I put into my homemade mayo. Please note that this product is significantly cheaper in stores. GoGo Quinoa makes an Organic Macaroni out of red and white quinoa that is totally gluten-free and a healthier pasta option. Once again this product is far cheaper in stores. QUINOA!! One of my favorite superfoods! Kirkland's Organic Quinoa is a great deal and since it's pre-rinsed it's super quick to cook up. I know what you are thinking...really, canned tuna? Yes! I don't mind the smell and love the flavor, so I add Chicken of the Sea Albacore Tuna in Water to my salads and casseroles for a great source of DHEA and omega-3's. This is a cheaper source of protein. Kirkland spices are a great addition to your pantry. I always keep Kirkland Ground Cinnamon and Kirkland Garlic Powder stocked. They are a great quality for their price (definitely cheaper in store than online). Almond flour is a stable in my pantry for Paleo treats. This Blue Diamond Blanched 3 lb bag is a steal and I cannot find anything cheaper, but unfortunately they do not offer this price online. Angelic Bakehouse is a bakery that sells sprouted bread products in the form of sandwich bread, buns, wraps, pizza crust, and crisps. Why sprouted bread? Sprouting grains prior to baking allows our digestive system to more easily break down the grain and absorb more nutrients. Costco now carries their sandwich bread in addition to these Premium Wraps! If you eat oatmeal, I suggest trying a steel cut oatmeal as the oats are simply cut open and never steamed or rolled. McCann's Steel Cut Irish Oatmeal is great because it doesn't take as long to cook as other brands. Mmmm...almond butter! It's just so good in everything! I don't recommend buying this online as it is far cheaper in store. When purchasing seafood always try to buy a wild product as farm raised fish will not be as nutritious. Kirkland's Wild Alaskan Sockeye Salmon tastes great and is fairly comparable to other grocery stores. Kirkland's Greek Yogurt is organic and a great price for the quantity if you have a family you likes Greek yogurt. I love this triple berry frozen blend from Costco. I add them to smoothies, yogurt, and oatmeal. Ezekiel 4:9 Sprouted Grain bread is similar to Angelic Bakehouse in that they sprout the grains prior to baking, thus more nutrients is absorbed by our digestive system. This bread is found in the freezer section at Costco. Ground turkey is a great way to mix up your protein source and this Butterball Farm to Family ground turkey is all natural (no hormones or antibiotics) and is 97% lean. I have recently made the shift to buying more organic and grass-fed beef as I consume a grain-free diet.This pack of three makes about four 0.90 lb meals of meat if you divide it prior to freezing. Until I find a local farmer who raises grass-fed cows this is my go to for beef!